An official statement from Xiaomi reveals the design, development and the challenges faced by the company to develop a foldable phone. Xiaomi is reportedly developing the phone in parternship with partners in the supply chain. 3D renders of the phone reveal the phone will have two folding sections. The fact that Xiaomi is working on a foldable phone is not surprising anymore. A concept video released by the company left many impressed with how seamless the new design looked. Now, the company has issued an official statement describing the foldable phone. The statement outlines the challenges with the flexible panel and the folding mechanism along with the way MIUI will evolve to the phone’s new form factor. Xiaomi also disclosed the panel has been developed in partnership with a developer. Furthermore, LetsGoDigital also published some 3D renders of the foldable device. The renders are based on the previous leaks. 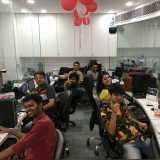 The website claims the MIUI skin seen on the renders are not final and might change when the phone’s ready for launch. The renders show a few iterations of the foldable phone, that the website called “Xiaomi Dual Flex” and “Xiaomi MIX Flex”. The phones have two folding sections that bend backwards and wrap behind the phone. This shifts the UI to the middle screen which is the only usable area. When opened, the UI takes up the entire area and it looks like a tablet with thin bezels. Interestingly, the renders doesn’t show the camera on the phone. There could be one behind the center panel and you might have to keep at least one section of the device open to use the camera. It’s also not clear whether the phone will come with a front camera, or Xioami will just allow users to fold one section of the screen back to take a selfie. On the bottom of the contraption is a USB-C port while on top is a button. It’s assume there is an earpiece on the top bezel. 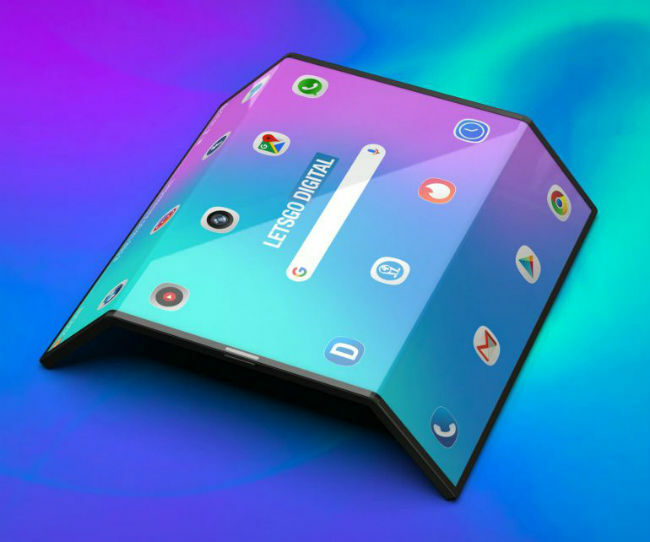 Foldable phones are posed to make an otherwise boring smartphone landscape somewhat exciting again. Major OEMs including Samsung and Huawei are tipped to announce their foldable phones at MWC 2019 later this month, while others like LG, Oppo and Xiaomi have confirmed they are working on phones with flexible displays.